Sitting across a parking lot from the stupendous Fairway supermarket and close to the waterfront (you can see the Statue of Liberty from the right angle), This little tarpaper-covered house is like an inside-out Red Hook museum. 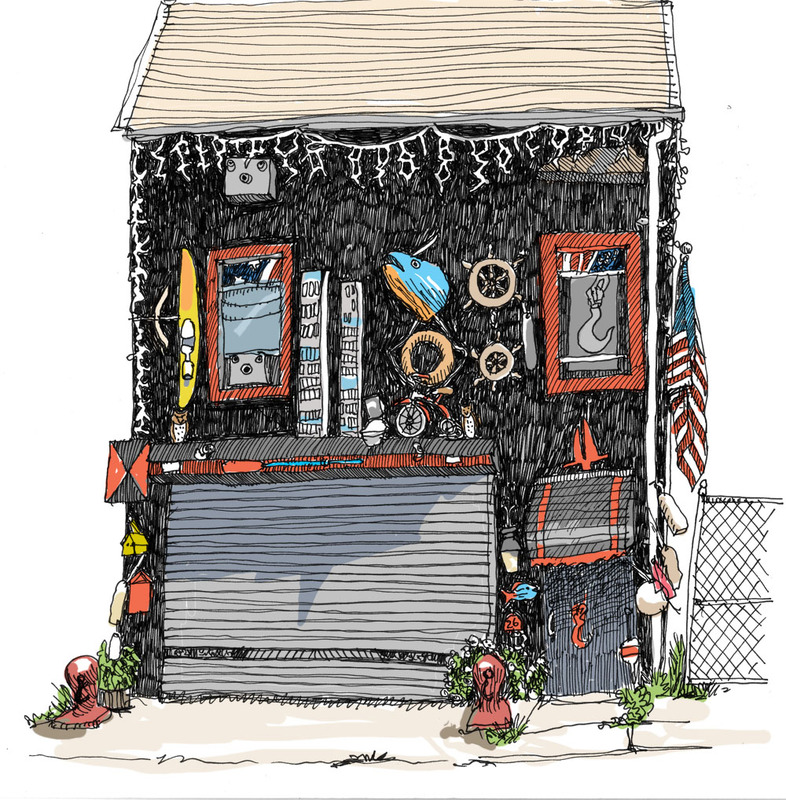 Nautical artifacts, hooks (red), a tricycle, a large fish head, a model of the twin towers, a skiboard, are all affixed to the front of the building. If you follow the trolley tracks (with the original overhead wiring intact) down toward the Fairway, you come upon three rusted-out trolley cars, an outdoor café, and a cluster of old, old warehouses in the process of being gentrified, and finally, huge twisted rusted crumbling hulks of industrial whatnot sitting out in the water. Red Hook rocks. August 5, 2007 by Walt Taylor.